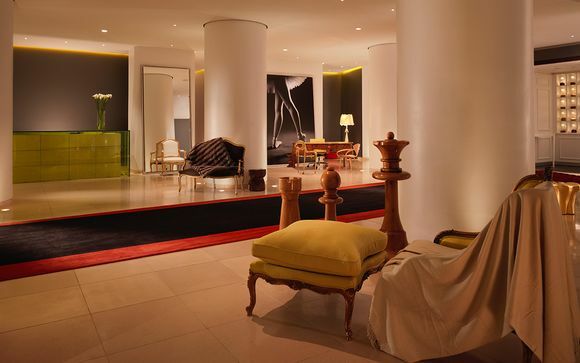 St. Martins Lane is an iconic boutique hotel that features innovative design and custom made Phillipe Starck furniture. Located within the bustling theatre district of the West End, St. Martins Lane is only steps away from Covent Garden. Dine at the fashionable Asia De Cuba restaurant, a destination restaurant with a must-taste fusion philosophy, and be sure to take advantage of the unique workout experience at the gym, featuring laser-lit dance studios, an Olympic-size boxing ring and more. 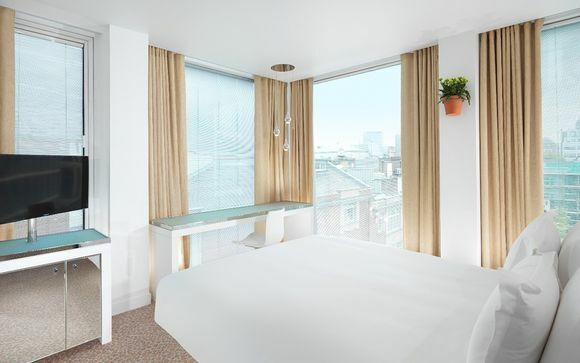 This sleek, design hotel is set right in the heart of London’s bustling West End with theatres and Covent Garden’s piazza nearby. 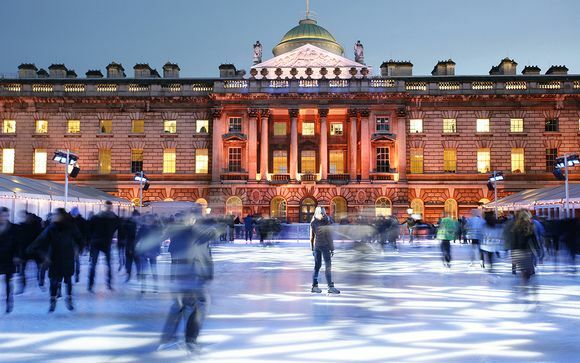 A mere 5 minute walk is Trafalgar Square, the beautiful Somerset House is just 10 minutes away, and the famous Oxford Street is just a 15 minute stroll away. London is one of the most amazing cities in the world and is teeming culture hotspots, parks, restaurants, markets, shops, theatres, and historic monuments. Wandering through the sprawl of fascinating historical architecture throughout the city is enough in itself to keep you entertained for days. If it’s luxury that you’re looking for then look no further than the outstanding St Martins Lane, part of the glamorous sbe's group of lifestyle brands. St Martins Lane is truly a hidden gem – new renovations have seen a reinterpretation of Philippe Starck’s original vision in the lobby and room designs. From the moment you arrive you will experience a slice of your very own luxury. Guests can begin their journey in the Den, a modern gathering place and decompression zone. Situated just off the lobby, the décor is warm and sophisticated with a tongue-in-cheek British flair. At night, guests will find a hidden entrance to Blind Spot, an innovative cocktail bar, behind the tea counter’s posh façade. 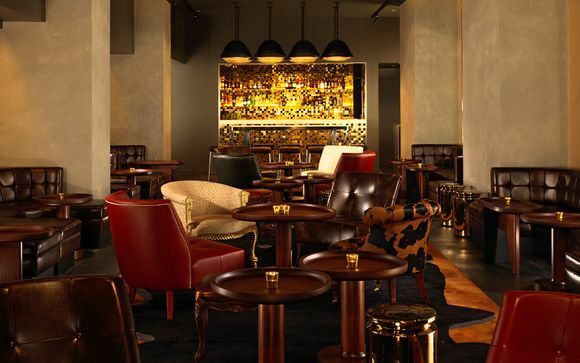 Meanwhile at the newly renovated Asia de Cuba, concept chef Luis Pous joins restaurateur Jeffrey Chodorow to offer a dynamic Latin-Asian fusion menu in an inspiring space. Light and colour continue to enhance your experience in every corner of St Martins Lane - interactive light displays brighten each room, transforming them into spaces of youthful excitement and changing mosaics of colour. Some services & facilities may be additional, payable locally. The newly designed rooms by Tim Andreas of Banjo evoke a sense of spaciousness and luxury by using a mix of both naturally inspired and modern materials. Crisp white linens, a plush duvet and luxurious Malin+Goetz amenities help soothe the soul, while the new polished aluminium teardrop-style lighting fixtures and a completely updated LED colour-changing light cove with a full spectrum of vibrant colours allows guests the opportunity to light their mood. A hidden entrance, carefully shadowed by day and illuminated by the energy of the city at night, leads guests behind the lobby’s tea counter into St Martins Lane’s newest golden cocktail sanctuary. Blind Spot takes a cue from its external façade – the lobby tea counter –with signature cocktails inspired by flavours of the ancient tea trade and sweet and savoury British colonial-style snacks. For global travellers with a cultured palate and a love of variety, Asia de Cuba is a destination restaurant with a must-taste fusion philosophy. Cuban-born executive concept chef Luis Pous enhances Jeffrey Chodorow’s original culinary vision with experimental combinations and a new twist on old favourites. Inspired by the cultural synthesis of old Havana’s Chinatown, Pous interprets Asian-influenced Cuban fare for a modern crowd and a discerning palate. Fresh ingredients, handcrafted dishes, and eye-catching interiors make for an unforgettable dining experience with surprising cultural flavour. 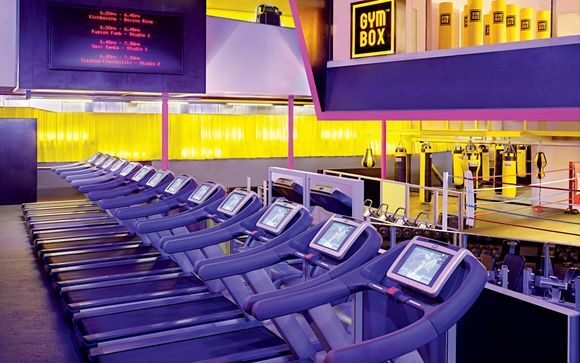 St Martins Lane has partnered with London’s ubiquitous Gymbox to provide guests with a most unique workout experience. Featuring state-of-the-art cardio and resistance equipment, Olympic-sized boxing rings, huge ‘hammer strength’ free weights sections, spin rooms, nightly resident DJs, and laser-lit dance studios, GymBox is located on the Ground Floor, adjacent to the hotel. Complimentary bicycles are also available for guest use on a first come, first serve basis. Reservations can be made through the hotel Bell Team. The bicycle package includes the bicycle, helmet and bicycle lock key. Public Transport: Your hotel is approximately 3min / 250m from Leicester Square which is on the Northern & Piccadilly Lines or 4min / 300m from Charring Cross Station which is on the Northern & Bakerloo Lines. Please note that a deposit of £100 GBP will be taken on arrival (per room) to cover any incidents during your stay. The airline is ticketless and therefore, you will not receive any hard copy documents. You will however, receive an email from us detailing your flight information and reference number to enable you to manage your booking online via the airline website. If you have booked transfers, Meet & Greet, car hire or airport lounges, you will receive a separate voucher for each of these services. Please note that transfer vouchers are sent directly from the transfer supplier. Please do make sure that you either add Voyage Prive to your Safe Senders list or check your Junk mail regularly for your travel documents. We will send all documents out as early as possible (subject to full payment being received) but you should receive all your documentation at least 10 days prior to departure. If you book a package which includes flights, your contract will be with Voyage Privé. The air holiday package(s) shown are ATOL protected by the Civil Aviation Authority. Our ATOL number is 10170.If you book a package which does not include flights, then ATOL protection does not apply. Your contract will be with the provider of the accommodation and not Voyage Privé. Voyage Privé acts only as agent for the accommodation provider.